This article is about property management tips primarily aimed at landlords to help them find tenants more quickly get higher rents or a better yield or return on your property. Specifically in this article I’d like to address what happens at the end of the tenancy. So-called ‘voids’ in a tenancy are the biggest nightmare for landlords, because a void in your tenancy directly equates to a void in your cash flow. Voids can be affected by two things; finding new tenants the second is the time it takes to do any repairs between one tenant moving out and another one moving in. One way to help you find new tenants more quickly is by keeping in touch with your existing tenants. If you have a good relationship with your existing tenant then they should be able to give you more than the necessary one months notice when they tell you about their plans to move on. It’s also worth talking to existing tenants and asking them if they know of any friends, family or their colleagues may be interested in taking the rental property over once they have left. This has the added bonus for the property manager of saving on the cost of advertising. When it comes to repairs you will pay dividends to inspect property while the tenant is still residing in it. The way I approach it is to normally check a week before the tenants are due to move out and see if there are any small jobs that doing was there still residing in the property. This helps to ensure any downtime is kept to a minimum. When you’re checking the tenant out of the property use inventory as a guide to agree the cost of any repair work with the tenant before they leave the property. It always pays to be firm but flexible here, the last thing you want to do is to get into a dispute. The reason for this is because a dispute will inevitably take up your time and could also cost you money on legal fees. 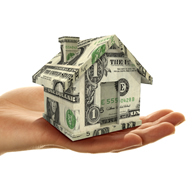 In my capacity as an experienced property management specialist I have alwaays foudnt that it is always better to waive a small bit of money in order to save the bigger amount of money. The last tip I’d like to share with you today is to make sure that all services and utility bills have been settled by the tenant before they move into their new property and always remember to take the necessary meter readings on the day that they vacate the property. We’ve already mentioned that if it is a minor repair it can be done whilst the tenants are still in the property but if it’s a major repair and you may want to think about taking the property of the market for a short while. There is nothing worse than showing a prospective tenant around a building site. So whilst you might have a clear vision of what it’s going to look like when it’s finished not everyone may share your imagination. Stuart Donnington has been a property manager for ten years and writes from personal experience in the hope that it will be useful.